The SavvyConnect panel is a exclusive and brand new part of a very popular market research site, Survey Savvy. To date they have paid out over $14 million in cash to their members who are located all around the world. The SavvyConnect panel is a exclusive and brand new part of a very popular market research site, Survey Savvy. The Survey Savvy website is owned and operated by Luth Research LLC who are one of the oldest market research sites in the world having launched way back in 1999. To date they have paid out over $14 million in cash to their members who are located all around the world. To become part of this exclusive panel you must register then download and install a small app to your PC, Smartphone or Tablet computer. The research is being carried out in this way to help them get a better understanding of how people use the Internet. This allows them to create a better online experience for other people. As a panel member you will receive exclusive market research opportunities and can earn cash in a much faster time. You will receive exclusive survey invitations where you will earn as much as $1 – $75 each. To get started simply register your basic details on the SavvyConnect site and then confirm your email address. On the next screen you can select the operating system you are going to download the app too. The choices are either Windows, Linux, Mac, IOS or Android. This means you can download the free app to your PC, MAC, Tablet, Smartphone or iPhone devices. Once you have the app installed you are instantly enrolled in the SurveySavvy Behavioural Research Panel. By keeping the app installed for over 30 days you are sent exclusive paid surveys and studies. The amounts you can earn from these studies will typically range from $1 – $75 each. 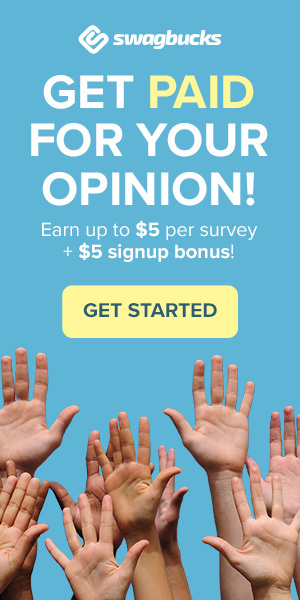 Many members have reported earning $15 – $75 for just a few minutes work from these exclusive surveys so its well worth keeping the app installed on your devices. The great thing about SurveySavvy or the SavvyConnect app is that you can cash out as soon as you have just $1 (65p) in your account. Alternatively you can collect much more and cash out then. As part of the standard SurveySavvy community your check / cheque payment would take as long as 6 – 8 weeks to be sent but as part of the SavvyConnect panel it is fast tracked and sent in just 1 week. All cheques are sent in USD to your home address. The app will send them data on what TV shows people watch online, where people shop, what people search for and other insights. This data is then put together to work out exactly how the Internet is being used. This data is never sold and unlike other sites is not used just to show you ads. It is specifically used to provide research and analysis on how people are using the Internet on various devices. The software and app have been designed to have a minimal impact on your computer or Smartphone so should not be noticed when they are running. If at any time you don’t want to send data you can go ‘Incognito’ or use ‘Private Browsing Mode’ on your browser. Doing these modes stops SavvyConnect from collecting any data. This makes it easy for you to still take part but control what you share with them. In our opinion we would say that its well worth downloading this app to at least one of your devices just due to the fact that it’s likely that you will receive some high paying surveys from them at some point. With the extremely low minimum cashout amount of just $1 you can be cashing out frequently. We highly recommend SurveySavvy and the SavvyConnect app to anyone looking for a decent and high paying market research website. New Exclusive Promotion: Anyone from the US who joins this panel and installs the software or application will automatically be invited to enable digital tracking and earn an additional $60 per year. More details on this offer are sent via email. Exclusive promotions for the UK panel will be sent periodically.